Tee times may be made up to 7 days in advance by calling (619) 474-1400. When you call to make your reservation, our staff will ask the number of players in your group and the day and time you would like to play. We will do our best to accommodate you. We will require a phone number, and on weekends, a credit card number to reserve the time. Designed by John Muir Graves in 1970, National City Golf Course is an immaculately tended 9-hole course that is perfect for beginners and advanced players alike. 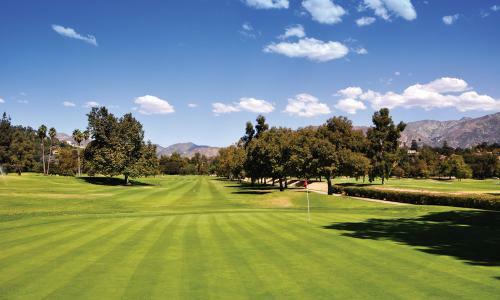 It features well-kept fairways and guarded Poa annua greens, among the finest in the county. Our signature seventh hole is the longest par 4 on the course and the toughest, starting with an elevated tee shot over a barranca into a narrow fairway with out-of-bounds to the left; the approach shot into an elevated, long green is often short as the hole plays long and slightly into the wind. With challenging par 3’s, 4’s and a par 5 – you will use every club in the bag. This is a great course for families who want to play together. To hone your game, National City Golf Course provides an expansive practice facility complemented by friendly service and top-notch amenities—everything you need for a great golf experience.